Is Ireland Failing Its Homeless People? Is the rising number of homeless young people in Ireland due to the failure of government initiative to provide adequate shelters? According to Focus Ireland, an organisation dedicated to providing support, accommodation and raising awareness on the issue of homelessness, there has been a failure by successive governments to provide the housing required to end homelessness. The economic crisis we’ve faced has seen capital spending on social housing in Ireland cut by 72%, from €1.38 billion to €390 million, between 2008 and 2012. As a result there is an increase in the amount of people without a home. How does this affect young people? Youth homelessness refers to young people who are not only under 18 but also in their 20s.Focus Ireland estimated that up to 5,000 people at any one time are homeless in Ireland but it is difficult to estimate the exact amount of young people that make up this proportion. Between the lack of accommodation and short term and long term housing facilities across the country, it’s easy to see how young people are ending up on the streets. 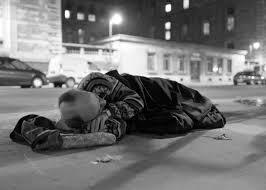 The word homelessness is one we are all familiar with. For me, the words ‘homeless person’ conjures up the image of an elderly raggedy helpless individual begging for money and this is due to the fact that this is what I am accustomed to seeing at least once a week in my home town, Ennis, Clare. ‘Homeless’ and ‘young people’ are not words that are often put together. In recent times these two words have become one and these ‘Homeless young people’ have been embodied by the increasing amount of young people that can be found on the streets of Dublin and across Ireland. It was not until I moved to Dublin that I realized the extremity of the situation. On average while walking aimlessly in the City Centre, I would see at least 5 homeless people on the streets, pleading for spare change. Most were unsuccessful in even gaining the attention of passers-by. It’s easy to see the competition for our attention increasing. I recently saw a young man sitting on the footpath on O’Connell Street where he held up a sign which read ‘I’m not an alcoholic or a drug addict, I just need change for my next meal’. Whilst on Abbey Street I saw another young man who seemed to be in his early 20s holding his dog close to his chest, perhaps for comfort or for warmth. It was as though the dog was the last thing in this world he could call his own. I imagined there was a time things were different for him. I can only assume that his idea of luxury would be to have a roof over his head while for most of us it would be to win a trip across Europe. How do young people find themselves homeless? There are various reasons many young people find themselves homeless. It is often due to lack of care from family, violence, abuse, drug or alcohol addiction. When seeing a homeless person on the street we are often so wrapped up in our busy lives that we react to them by not reacting at all, We are often guilty of not even taking a moment to give them some change. I’m sure many people walk past these helpless youths daily without realizing. As a country that claims to be welcoming and caring, why is it that the most fragile people in our society are the ones being ignored? We need to stop pretending that these people are merely an obstruction in our way. I myself have been guilty of this on many occasions. If you are interested in helping Focus Ireland in their attempt to keep people off the street you can donate on their website Focus Ireland.ie, which also provides information about homelessness, the work they do and other ways in which you can contribute.